I’ve been struggling with seborrheic dermatitis on my face for over a decade! I’ve always tried to ignore it, to be honest. Plus, it sort of comes and goes. But a few months ago, things gone downright ugly- flakes and redness and, just . . . ewww. So I went on an information binge, which turned into a fantastic solution for my face and the launch of this very blog. 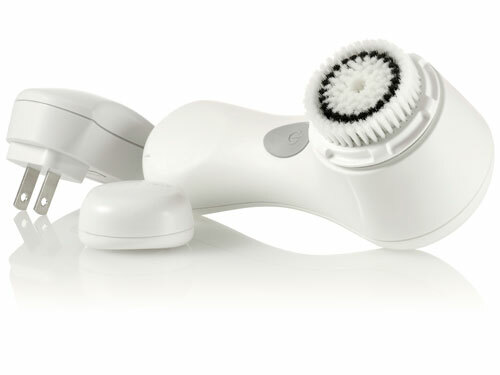 Wash my face with my Clarisonic Mia. I don’t do this every morning, but I truly think my skin is best when I do. I always thought my sensitive skin would freak out from this much exfoliating, but it is so gentle and just leaves my skin soft and clean. I use Beauty Society’s Easy Going face wash. It is so mild and soothing. They even reccommend it for people with rosacea. Beauty Society is sold by independent contractors. It’s like a more modern version of Mary Kay. So find someone local to support! One bottle last me FOREVER so it is totally worth it. After washing my face, I smear on some moisturizer. 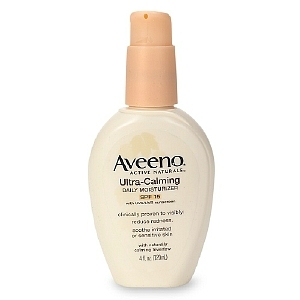 Right now I am using Aveeno Ultra-Calming Daily Moisturizer with SPF15. I want to try some more options, because I HATE that there is fragrance in this lotion. It does seem to calm my skin though, but I plan on trying something new next time. 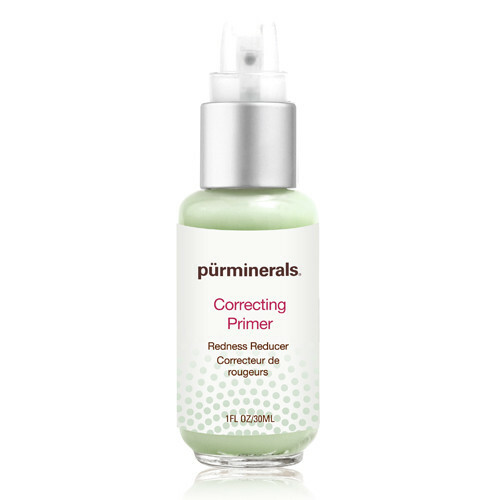 But I also incorporate my secret ingredient: Pur Minerals Correcting Primer in Green. This stuff ain’t cheap ($30), and I also have a huge complaint about the pump, which worked for a like a hot minute. Also, I found that putting the stuff on “as is” leaves my face looking a little chalky, ashy . . . and just, well, green. Too green. But if I mix a dab into my moisturizer? Bingo! Decreases the redness just perfectly. It also makes my morning routine go quickly. I’ll get more into makeup for seborrheic dermatitis in some other post. 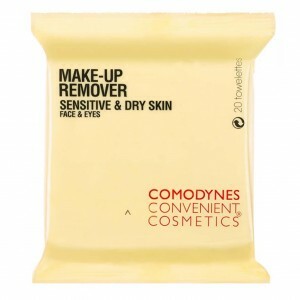 I use make-up remover wipes some nights to get off the bulk of my makeup. I don’t like when the makeup ends up all over my precious Clarisonic. If I’m in the shower, I just rinse with the warm water first. I use my Clarisonic Mia and Beauty Society face wash to get my skin all clean and lovely. After washing, I slather on Cocount Oil. That’s right. After spending small fortunes on fancy-shmancy moisturizers, I’ve realized that the best treatment for my facial seborrheic dermatitis comes from Trader Joe’s at just $6.99 jar . . . and that lasts for months on end. 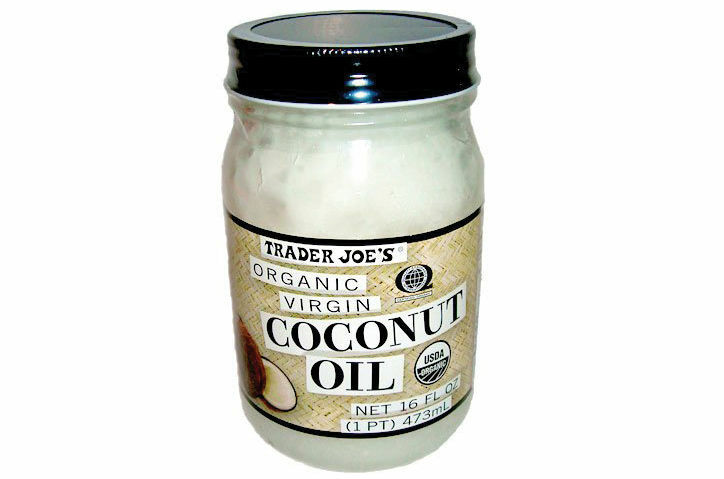 I also use coconut oil as my hair product, scalp treatment, skin moisturizer and much more. It is super oily at first and your spouse or child will be scared to go near you for the first twenty minutes. But then your skin absorbs it and you wake with gorgeous, glowing skin. I truly feel that it wouldn’t work as well without the Clarisonic, though. These two finds were what really improved my skin. I am so glad I splurged on the Clarisonic, and now that I spend maybe $14 a year on my night cream . . . it all evens out. So that is what works for ME. Talk to your doctor before you try some hair-brained Internet scheme though, ha! What is YOUR best solution for seborrheic dermatitis on your face? Give us your best tips in the comments, please! How’s it working for you now? I’m contemplating investing in one as I have seb derm too and need a good clean. I am so glad to have found this blog! I have struggled with SD and rosacea for several years now and every time I search the web for SD treatment recommendations, I have found exactly what you mentioned! Information that is unorganized and either Wiki/WebMD general info or horror stories or nearly impossible to decipher medical journals that hold not a lot of conclusive information! My story: Sudden onset of symptoms in mid-twenties, although in hindsight it’s easy to see that “dandruff” and other minor skin irritations earlier were probably SD. I have always had extremely sensitive skin. The first dermatologist I went to see could not diagnosis the SD and labeled it an allergic reaction. I got a second opinion, an SD and rosacea diagnosis, and some Rx medications that help a great deal when I have a SD flare-up. I still rely on these topical medications/shampoos but I am looking for lifestyle or non-prescription medications to manage my SD in a more long-term way and hopefully avoid or decrease flare-ups. When the SD on my scalp seems to be flaring, or I feel itchy or oily, I use either DHS Zinc Shampoo (can be ordered from your local drug store if they do not already carry it) or Head and Shoulders Clinical Strength (usually sold OTC). I prefer the DHS Zinc Shampoo because it has a milder scent than the HAS Clinical Strength which seems to leave a scent/film in my shower. I try to keep my conditioner from actually touching my scalp. I use Cetaphil Antibacterial Soap for my face wash as recommended by my dermatologist. I have always assumed the clarisonic would be too abrasive for my SD/rosacea skin, but after reading your post, I think I might try it! I use a moisturizer called “Magick” that is oil-free and fragrance-free. I usually just search for it online and purchase it from whichever site is selling it most affordably at the time. And here’s the BIG ONE: The Rx cream that I use for flare-ups on my face. My dermatologist prescribed a compound cream of Ketoconazole 2% and Desonide 0.05%. Many dermatologists will insist that a steroid only cream should heal the SD breakouts, but I have found that the combination of the anti-fungal with the steroid is crucial. Obviously, I am not a fan of putting steroids on my facial skin any more often than necessary, but this cream was a life-saver. It was literally the first and only things that helped clear up the uncomfortable and embarrassing SD. Sorry for the long-winded post, but I was just so happy to find your blog! Thanks so much for your treatment tips! Not wear makeup!?!?! I mean, I respect anyone who goes bare-faced into the world, but if my doctor told me that I’d give him the side eye. That’s not happening. Have you tried Bare Minerals or other mineral powder? That was my go-to for nearly a decade (I was a very early bare minerals shopper, back when there was only a store in LA and SF) and it was the BEST thing for my skin. I even started wearing it to bed, after washing my face. But either they changed the formula or it just stopped working for me. Currently I am using Revlon Nearly Naked at the suggestion of an esthetician. Always on the lookout for something new though, so let me know! I just found out I have seborrheicdermatitis and was doing some research and came across your blog. I love to know what other people are doing and what works for them. I was surprised to hear that you use coconut oil on your skin (I’m assumin g on your face) because it can clog your pores. Unfortunately I have cystic acne as well so I won’t be doing that! Just thought your readers might wanna know. Thanks for all the advice! I am currently working on a post about coconut oil, thanks in part to your feedback! When it comes to coconut oil, there are so many opinions out there and very little research, so we all have to pitch in our information and see what works, right? Thanks for commenting and let us know how it is going. I have been researching Seb dermatitis for years and have toyed with starting my own blog about it just like this! Have you checked curezone.com? Some interesting stuff on there – I have found that dairy makes my Seb dermatitis much worse – I think it is caused by different triggers for everyone, and it is SO hard to figure out! Anyway, keep up the good fight and I will be following! Please feel free to post a link to your site! It’s all about sharing info! I get it above my top lip. It flares up after a few days if i don’t shave and then goes nuclear when I do shave. Emulsifying ointment deals with it every time. Goes from red raw to barely noticeable in a matter of hours and never even gets the chance to flake up. Its then dealt with until the cycle starts again. If i don’t use emulsifying ointment it flakes up in a bad bad way and turns deep purple. Upper lip? What a bummer. Interesting that NOT SHAVING flares it up. I know shaving acts as an exfoliator, so I can’t help but wonder if you took a minute to exfoliate gently somehow when you were skipping shaving if that would prevent the flare. Very curious about the emulsifying ointment. Do you like a certain brand? I’m 18, and had it for at least 7 years. I’m a male, so I can’t exactly cover up with makeup, so I tried restricting my diet! For myself, pork was a major trigger, that means anything from pork roasts, ham, and yes, sadly bacon. After a week of avoiding pork, my face seemed to have less redness than before. I think it could be from the hormones they put in meats these days? But yes, honestly i recommend giving it a try, it can’t hurt lol. As for my flaky skin, i just try to use any moisturizer that doesn’t have any harsh chemicals, fragrances or alcohol. Steroid creams are a no-no. At first it works, but after a while the seb derm comes back even stronger. But consult your doctor first, I’m not a doctor, this is just from my personal experience! Giving up pork?! I’m sure you miss bacon, but it is totally worth it for better skin. Thanks for sharing your experience and good luck! Also! I found something that works! It’s called Robertson’s: Skin Repai Ointment. It’s a little pricy, but for the few days i’ve been using it, all iritation is gone, the redness has almost gone! Simply apply a generous amount on your face before you sleep. It will look silly, kind of like a face mask, but after about 10 minutes it sinks in and leaves a smooth silky texture to your face. I honestly recommend it. Interesting . . . I will try that soon! A good wash that helps with SD is Shea Moisture Baby Head to Toe wash and shampoo followed by a witch hazel toner. However, I have yet to try any of the moisturizers this blog mentioned but, will be on my next shopping list. I’ve heard good things about Shea so I will look into that. Also you reminded me that I need to address that many people struggle with SD on places besides their face and scalp … Underarms, back, chest, etc so an all over body wash would be great. Thanks for the tip! Agree on the witch hazel and I will soon wrote suggestions on toner.